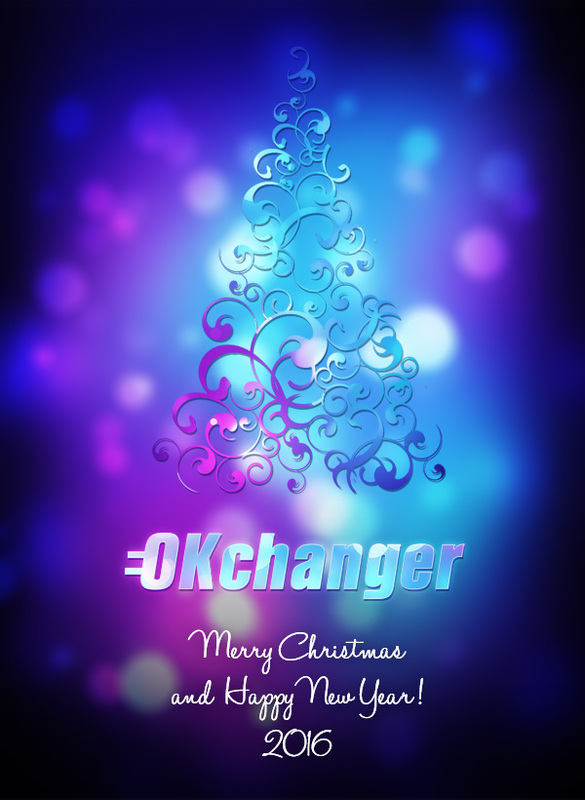 OKchanger wishes you a Merry Christmas and a Happy New Year! We hope that the new year brings you and your loved ones happiness and success. 2015 has been a very important year for us. We had planned the launch of the OKchanger monitoring system for a long period of time, did a lot of work, and finally our project has gone live! Well, let’s take a look on what we have achieved during this year. Of course, first of all we have to mention our partners: we have built strong relationships with over 100 reliable exchangers, so now we can offer our clients lots of possibilities to exchange their funds. Then we added the Payment Systems section to the OKchanger website that provides lots of useful information such as payment system’s popularity, supported languages, etc. At the same time the Trading Platforms section was created to gather the biggest market players in the world of cryptocurrencies and crypto payments. The home page of the website was turned into a portal where users can read interesting news from the world of payment systems and digital currencies. And last but not least, we created an API specially for payment systems. This API allows payment systems to provide their customers with additional methods of withdrawing or depositing funds to their wallets. Thanks to you, today our service is well known to both users willing to exchange their funds and online exchangers looking for new customers and markets. In the future we will continue working on bringing the best functionality to both our clients and partners (exchangers). Thank you for your trust and support. We wish you and your families a Merry Christmas and a Happy New Year! Get ready for new awesome features in 2016!